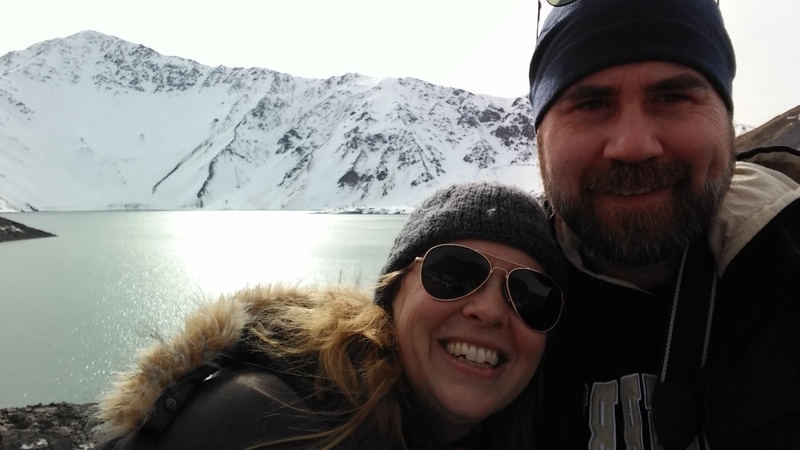 If you’re ever in Chile in the winter, the hike up to the Embalse de Yeso is more than worth it! Located at about 8,400 feet above sea level just a few miles from the Argentinian border, it is breathtakingly beautiful. Greetings from South America! We hope this finds you well. We are so thankful for your prayers and your partnership in the gospel with us. It’s Winter Break here in Chile. This is a downtime in the culture: schools are out for semester breaks, lots of people travel on vacation, and ministry activity nearly comes to a standstill. It’s a good moment both for family time and also to reflect on the ways the Lord has been guiding us with ministry opportunities since we got here. Family: Last week our family got a much-needed four days at a cabin in Cajón del Maipo, a valley next to the Andes mountains. It was a time of fun, snow, and refreshment. It was also something of a ‘last hurrah’ as major changes are coming in the days and weeks ahead. Our daughter, Mary Beth, is moving to Tennessee this Friday. She’ll be living with my sister and her family while she completes here senior year of high school. This was a hard decision to make – but one we’re convinced will be best for her in the long run. Amy will accompany her to get her settled in. She’ll be returning just in time for our 21st wedding anniversary (August 3rd), only to see me travel a week later to help Joseph (our oldest) move into college. He’ll be attending the University of Alabama at Huntsville, studying computer science. We need a lot of prayer for all the transitions. Ministry Opportunities: We have had abundant opportunities to serve. In local ministry, we are grateful to be plugged in with the Iglesia Trinidad de Reñaca (Reñaca Trinity Church, Reñaca being the name of one of the towns here). As we get more involved in our local church we are also having more opportunities for evangelism and one-on-one discipleship. In May I was able to participate in a church planter assessment center, set up by City to City (a ministry of Redeemer Church in New York). Through the assessment we were able to approve 5 couples for church planting ministry. Coming out of the assessment, I am now mentoring two of these church planters, and Amy is engaged mentoring one of the wives. I also have occasional preaching opportunities, and Amy continues to be minister to church planters’ wives through Parakaleo. Regionally, I continue to serve our various missionaries throughout South America. In early June, I had the opportunity visit to Bogotá and Bucaramanga, Colombia. It was an encouraging visit as I got to meet two newborn missionaries, got to see some of our youth specialists in action as they ministered to missionary kids at our first-ever Americas MK Retreat, and then got to engage with an exciting church planting work led by Colombian pastor John Sandoval in Bucaramanga. 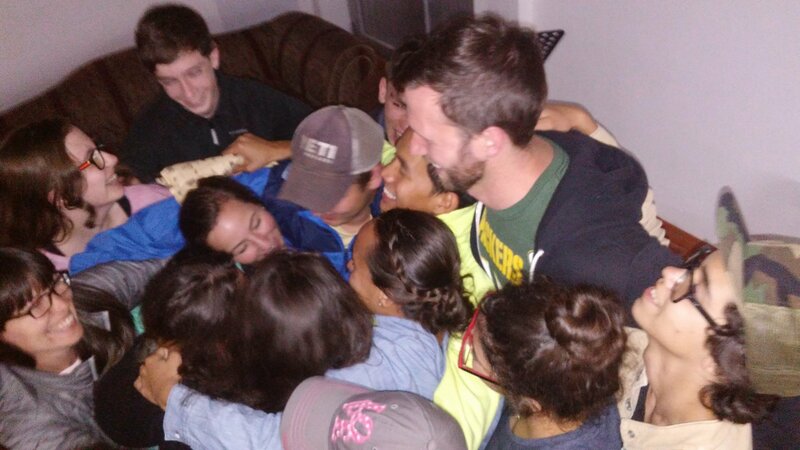 A group hug with missionary Andrew Lupton to end the retreat! One of my first experiences here was a conversation with some gas station attendants warning me to be careful about how people would try to rip us off and/or steal from us. I was about 10 miles down the road when I realized that they themselves had stolen from me! Since then we’ve experienced an intentionally broken car window (nothing taken! ), a stolen cell phone, and a few other things of that nature. Many, many people have been honest, loving, kind, and generous with us. It’s a big exaggeration to suggest that all Chileans would steal from you! And it’s also true that many Chileans don’t trust each other. This presents two problems and an opportunity. The first problem is minor: we may be apt to lose money or things. The second problem is much bigger: people are so highly suspicious of ulterior motives that it’s natural for them to resist the message of the gospel for fear of being taken in (especially because some churches are more known for pressuring people to give money than they are for talking about Jesus). But the opportunity is also huge! The gospel undoes deceit and theft! The gospel transforms deceitful and thieving people! And living that reality out in the midst of the Chilean people may open the door for people to begin to see who Jesus really is. CHILE – We are pleased to report that though there have been a few earthquakes, they have been minor. We recently had the opportunity to see more of the country and were struck by the number of signs we found warning of natural disasters. Among them: volcanic eruptions, flooding, mudslides, avalanches, and tsunamis. As the saying goes here in Chile, 9 out of 10 disasters prefer Chile. ARGENTINA – We are thrilled that the beginnings of a brand new team have been formed. Please pray for Jarrett and Mary Carole Hall as they spearhead this endeavor. 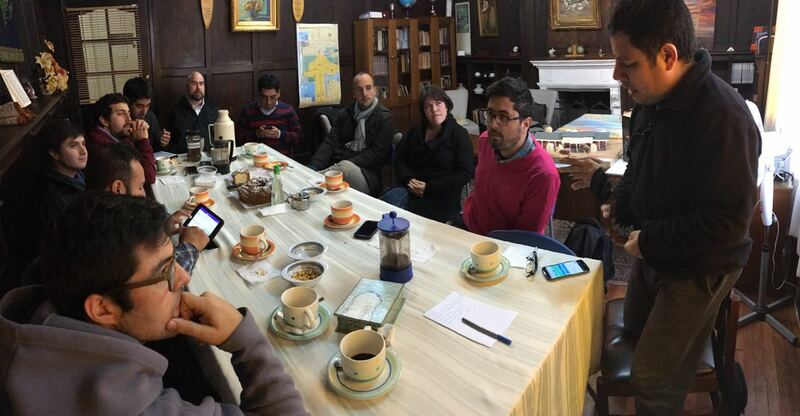 Their aim is to move to Buenos Aires and engage in pastoral education and training. BRAZIL – We are grateful for the health and influence of the IPB – the Presbyterian Church in Brazil. We have found opportunities to partner with Brazilian missionaries here in Chile. 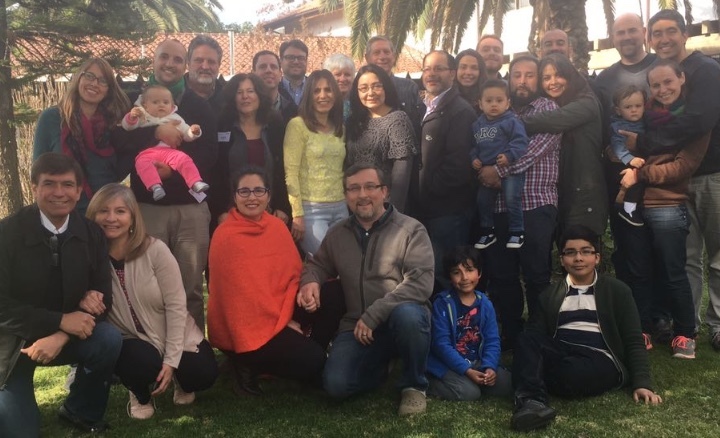 They have had a positive influence in various denominations, and hopefully within the next year we will be partnering with them in a new seminary in Santiago. COLOMBIA – We are partnering with a Colombian church planter in Bucaramanga, Colombia. I was able to visit with the pastor and members of the church in June. God is at work there – people are coming to saving knowledge of Jesus Christ, and new leaders are being prepared! Evangelio 360 (Gospel 360) is a network of pastors, church planters, and church leaders here in Chile’s Valparaiso/Viña del Mar metro area. Our vision is to see Reformed, gospel-centered churches planted throughout the area. These leaders, from various denominational and non-denominational affiliations, get together to encourage one another, to pray, and to plan together. But more than that, they are actively engaged and committed to seeing the gospel move forward. To that end, they even provide financial support to church plants outside their own denominations. It’s exciting to be a part of something where the people of God wish to see the the kingdom of God more than their own denominational kingdoms. Pray for me as I’ve had a series of dental issues. It seems I’ve spent more time with the jaw specialist here than with the family some weeks! Things are getting better, but I would really appreciate your prayers. Pray for us in the midst of all the family transitions. Our home life is going from 5 to 4 to 3 in the span of 7 months. We have abundant ministry opportunities here in Chile. We need a lot of wisdom to know which things to pursue and which things to let pass by. Amy has been asked to teach Bible an hour or so a week at Mary Beth’s old school. This is a great opportunity to serve the young ladies at this school. Pray for wisdom as we approach that decision. Please put ‘Robertson 016521’ in the memo field.